In VR, audio is just as important as visual elements when it comes to fully immersing us in games and experiences. That's why the Oculus Rift has built-in headphones and also why more and more audio accessories, claiming to be made for VR headsets, will appear as the year goes on. 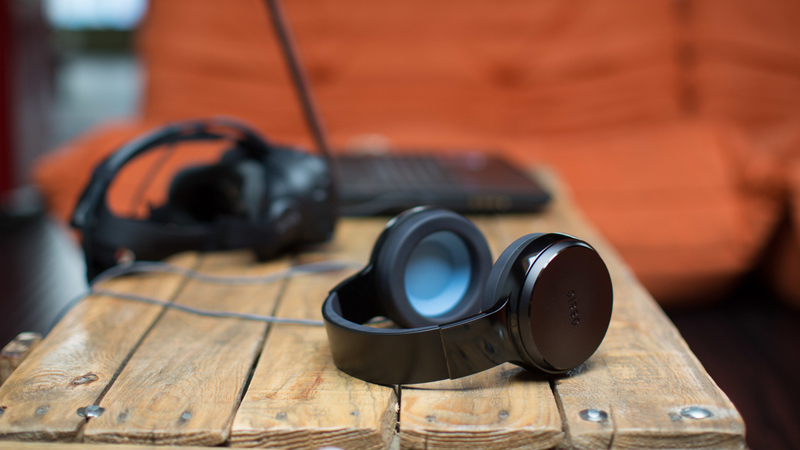 Ossic X is one of these accessories but the company promises a full 3D listening experience. The headphones aren't just your normal pair of cans - they've been specially engineered to bring 3D sound to your ears. If that all sounds appealing, plenty of other people agree with you. The Ossic X Kickstarter has been successfully funded and has raised over $2.7m. Putting on a pair will instantly calibrate to the individual anatomy of the listener through head related transfer functions, all without the lab. Normally, you'd need several hours of calibration with a sound lab to get the right effect. Rather, the lab's science is already inside the headphones through sensors, head tracking and algorithms. Each time you use the Ossic X, the headphones are calibrated to provide the best sound, then re-calibrated if your friend wants to use them. Clever. Specifically, there are eight individual drivers that work in tandem to play back sound to the correct portion of your ear. Since every ear shape is different, the sound will reach it and conform to it uniquely depending on who's listening. The drivers then work with the head tracking where sounds will appear to come from outside your head and stay fixed in space. You'll think there's a giant sound system setup in front of you, when in reality, all the sound is simply coming at you from the headphones. With accurate 3D sound in VR, you'll get bonus auditory cues on top of visual so it will be easier for developers to "show" you where to look. That way, you miss nothing and get the full VR experience you're supposed to have. There are other uses for the Ossic's gear as well including music, movies and of course, gaming. Ossic reckons its tech is the best so the X headphones won't come cheap. The company previously offered the headphones for $219 while the $199 sold out immediately in the Kickstarting phase. Official prices sit at $299 with pre-orders open now. Shipping is set for November for the early bird buyers.